Live Hotel Digha is a warm, comfortable and modern hotel located in Sector 2, New Digha. The hotel is Digha Beach facing, allowing guests to enjoy sea views and sea breeze. It is close to Wonderland Kajal Dighi, Gour Nitai Temple, Radha Madhab Temple and Casuarina Forest. The hotel has a spacious and brightly lit in-house restaurant, with trendy furniture. There is an elevator on the premises too. All the rooms are spacious, with bright white walls, and have comfortable furnishing. The bathrooms are neat and trendily tiled. 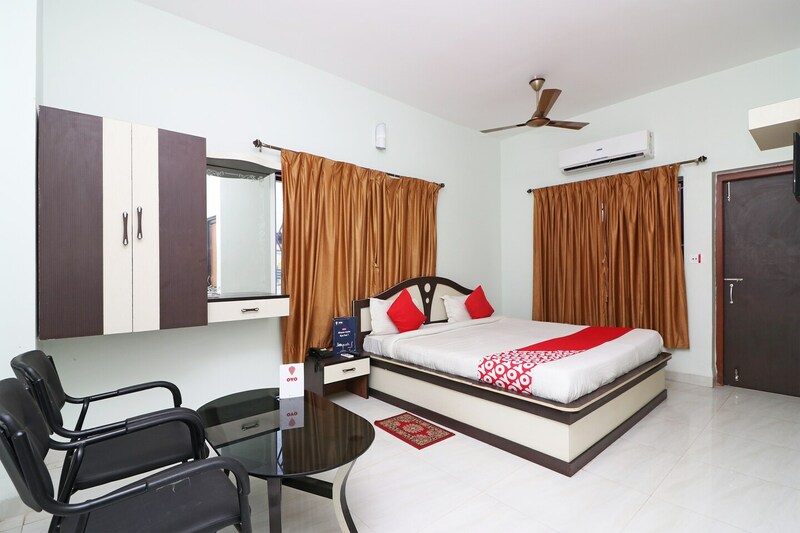 All the rooms of Live Hotel Digha feature an air conditioner, a king sized bed, and a television. The hotel also provides CCTV security and power backup to its guests. Nearby restaurants are Tara Maa Restaurant, The Satte Fisheries Dev Corporation, and Hotel Pabitra. Other than the Digha beach itself, Subarnarekha River banks, and Amarabati Park can be easily explored from here.